Depression drains your energy, hope, and drive, making it difficult to do what you need to feel better. But while overcoming depression isn’t quick or easy, it’s far from impossible. You can’t just will yourself to “snap out of it,” but you do have more control than you realize—even if your depression is severe and stubbornly persistent. The key is to start small and build from there. Feeling better takes time, but you can get there if you make positive choices for yourself each day. What is the best way to cope with depression? It’s the Catch-22 of depression: recovering from depression requires action, but taking action when you’re depressed is hard. Draw upon whatever resources you have. You may not have much energy, but you probably have enough to take a short walk around the block or pick up the phone to call a loved one. The tips that follow are based on a comprehensive approach that helps you get support while making lifestyle changes and reversing negative thinking. If you continue to take positive steps day by day, you’ll soon find yourself feeling better. When you’re depressed, the tendency is to withdraw and isolate. Even reaching out to close family members and friends can be tough. Compound that with the feelings of shame and the guilt you may feel at neglecting your relationships. But social support is absolutely essential to depression recovery. Staying connected to other people and the outside world will make a world of difference in your mood and outlook. And if you don’t feel that you have anyone to turn to, it’s never too late to build new friendships and improve your support network. Look for support from people who make you feel safe and cared for. The person you talk to doesn’t have to be able to fix you; he or she just needs to be a good listener—someone who’ll listen attentively and compassionately without being distracted or judging you. Make face-time a priority. Phone calls, social media, and texting are great ways to stay in touch, but they don’t replace good old-fashioned in-person quality time. The simple act of talking to someone face to face about how you feel can play a big role in lifting the fog of depression and keeping it away. Take a day trip to a museum, the mountains, or the ballpark. Expose yourself to a little sunlight every day. 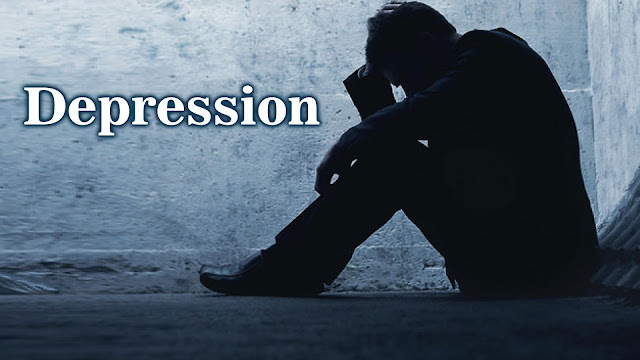 Lack of sunlight can make depression worse. Take a short walk outdoors, have your coffee outside, enjoy an al fresco meal, people-watch on a park bench, or sit out in the garden. Aim for at least 15 minutes of sunlight a day to boost your mood. If you live somewhere with little winter sunshine, try using a light therapy box. Your fatigue will improve if you stick with it. Starting to exercise can be difficult when you’re depressed and exhausted. But research shows that your energy levels will improve if you keep with it. You will be less fatigued, not more, once it’s part of your routine. Sunlight can help boost serotonin levels and improve your mood. Whenever possible, get outside during daylight hours and expose yourself to the sun. Aim for at least 15 minutes of sunlight a day. Remove sunglasses (but never stare directly at the sun) and use sunscreen as needed. For some people, the reduced daylight hours of winter lead to a form of depression known as seasonal affective disorder (SAD). SAD can make you feel like a completely different person to who you are in the summer: hopeless, sad, tense, or stressed, with no interest in friends or activities you normally love. No matter how hopeless you feel, though, there are plenty of things you can do to keep your mood stable throughout the year. See Seasonal Affective Disorder. When these types of thoughts overwhelm you, it’s important to remind yourself that this is the depression talking. These irrational, pessimistic attitudes—known as cognitive distortions—aren’t realistic. When you really examine them they don’t hold up. But even so, they can be tough to give up. Just telling yourself to “think positive” won’t cut it. Often, they’re part of a lifelong pattern of thinking that’s become so automatic you’re not even completely aware of it.